Sign in with the email we have on record and choose a password and you’re done! 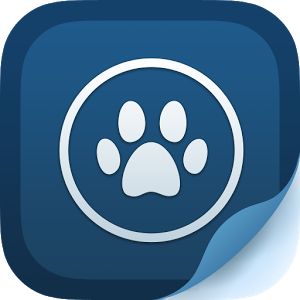 Now you can view your pets health reminders, update your contact information, request appointments, and more through the web! 1) Download the mobile app from the Google Play or Apple Store by clicking one of the links below (you must be using your mobile phone in order to install the application). 2) After you have installed and opened the app on your mobile phone click the “sign up” button on the home page of the app. Enter your email address, choose a password and click the blue sign up button. 3) You will then be sent a confirmation email. Click the link in that email. Check your SPAM folder if you do not see the confirmation in your inbox. You can now login to our mobile app to view upcoming appointments, healthcare reminders, refill prescriptions, request appointments and more! Since we opened the doors of Green Lake Animal Hospital in 1972 we have proudly helped thousands of pets receive the expert attention, treatment, and preventive care they need to lead healthier lives.